Expectations are always high when two Futurity Champions are bred but "Wow", we didn't imagine this. Jack in Black combines extremely dense, super fine fleece with that "In the Box" conformation and a True Black color to provide one of the best packages seen as of late. This multi champion herdsire got a lot of attention in the 2013 show ring and even more as he has reached breeding age. 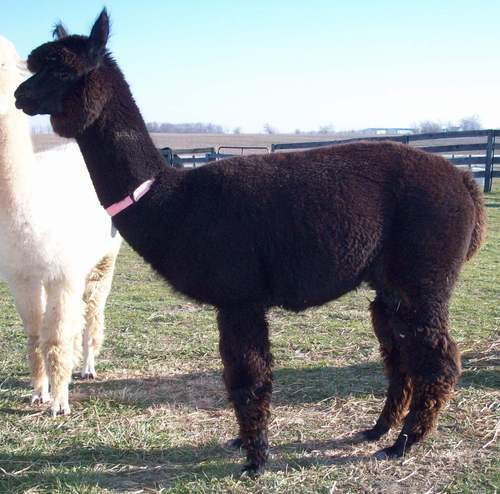 Shantana is a conformationally solid female with high amplitude, dense fleece. Her sire is a multiple time Color Champion and her dam has consistently produced high quality blacks for us. Shantana comes with a breeding to any of our unrestricted herdsires. 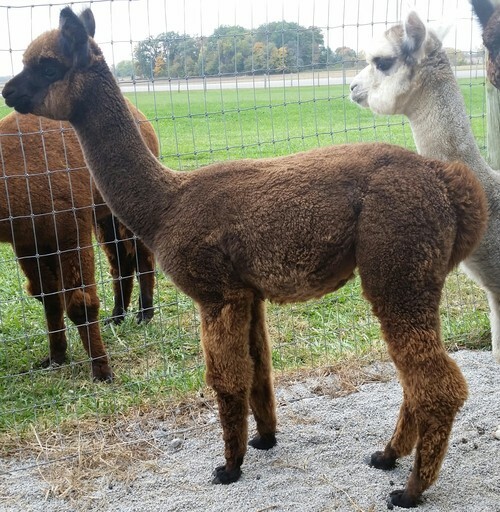 Shantana's 2016 cria is a bay black out of Jack in Black. Blue Laser began his show career at Carolina with a color championship and has never looked back. He combines spot on conformation with fine, dense, elite fleece. This junior herdsire will be a significant contributor to our breeding program and hopefully you will consider doing the same. 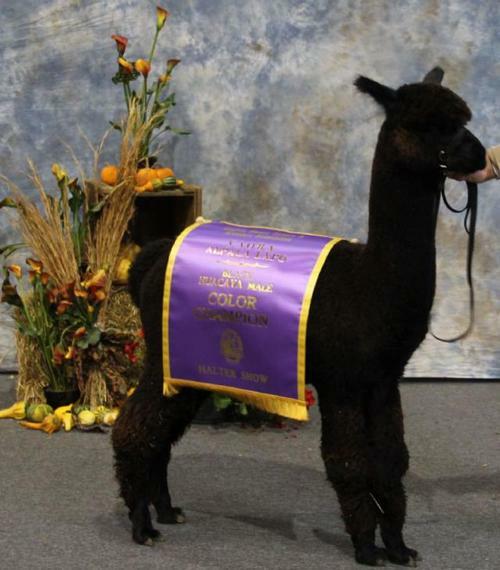 Call now to reserve a breeding because when he wins Nationals, the price will go up!!! 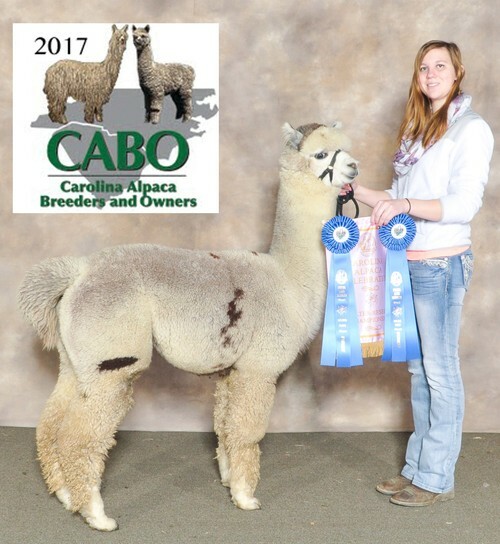 Blue Laser is Co-owned with Stachowski Alpacas. Jackaline is a first crop out of our multi color champion Jack in Black. She is off to a great start combining solid conformation with elite fleece. She will be a member of our spring, 2017 show string.